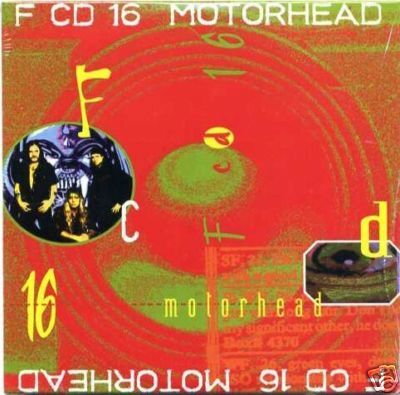 This CD is sometimes listed as a Motorhead CD but as far as I have understood it actually features several track and amongst those the first track is an interview with Lemmy to promote the Sacrifice album. It was included in some kind of magazine and really should not be listed here since there are several similar compilation releases included in other magazines not featured here. But at least it has a small picture of the band on the front and it also has Motorhead printed on the front.